A robotic caterpillar has been designed which can crawl across the surface of the heart to deliver treatment. The tiny robot, just a few centimetres long, can move at up to 18 centimetres per minute, controlled by a joystick from outside the body. 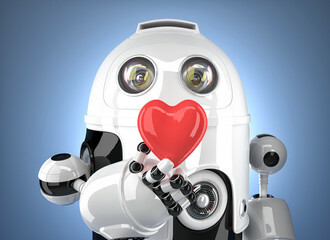 Doctors follow the robot's movement on the heart's surface using a magnetic tracker on the skin. Children will determine from which type of material the robot should be made. They will learn that some metals are magnetic. They will classify a range of materials, including metals as magnetic or non-magnetic and explain how their work enabled them to do this. They will describe and explain how magnets can be used.